Sometimes it is about networking! While this group is known for its conferences, and the one in November is great, they do so much more. 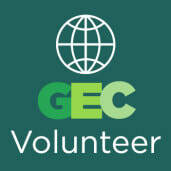 GEC sends out two emails a day with topic that have a Global focus. There are times when I wish I didn't get so much information that is a great problem to have when the information is strong. With so many people in the conferences throughout the year, networking is really easy to do and Lucy Gray is really helpful. EdCamp Global puts on a great online conference where you can listen to people all over the world talk about how they integrate global collaborations in their classrooms. I have heard some phenomenal educators talk technology integration here as well. I have met some great teachers in this conferences who are very open about helping people out who are interested in global education. Generation Global is based out of the UK and was founded by former UK Prime Minister, Tony Blair. They are very project oriented and focused on SDGs (Sustainable Development Goals). I participated in a Global Snapchat with over 20 countries and the kids had an awesome time with that. There are many project going on throughout the year and you can chart how much your students participate on the website. There focus is 12-17 years olds so if you have younger students you would have to look for another option. This what the GRA is all about: The premise is simple; we pick a book to read aloud to our students during a set 6-week period and during that time we try to make as many global connections as possible. Each teacher decides how much time they would like to dedicate and how involved they would like to be. Some people choose to connect with just one class, while others go for as many as possible. The scope and depth of the project is up to you. While there are commonly used such as Skype, Twitter, WriteAbout or Flipgrid, you choose the tools that will make the most sense for you. Teachers get a community of other educators to do a global project with, hopefully inspiring them to continue these connections through the year. What is really cool about them is they have a Facebook page, suggested book readings throughout the year, and a very active blog. Sign up is very user friendly with a Google Form embedded right on the page. The SDG's are displayed prominently on the iLearn page so they have numerous projects that focus on these. There are 30 languages spoken on this website so they have quite the network of countries and schools. The focus is very much on your students become global citizens and as an educator, you get to meet teachers from all over the world doing projects that iLearn has created. One of their big selling points is that iLearn takes a cross-curricular approach so you can find teachers in different disciplines to collaborate with throughout the school year. Students at Ste. 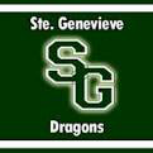 Genevieve learn about other cultures through social media and global exchanges. They understand that they students they are talking to do not speak English as their first language but they bring so much knowledge about their own country to us. We find out that the students around the world have more in common with us than we think. Ste. Genevieve students find out almost immediately that students around the world play Fortnight, watch Netflix, and like many of the same singers that we do. Students around the world enjoy so many of the same things that we do. What is also fun to explore is how school is different, yet the same for students around the world. Understand similarities and differences is a cornerstone of our global collaborations. Every unit in World History is coordinated to include students from another part of the world. We talk to students in Greece, Italy, Mexico, United Kingdom, France, Spain, Morocco, Denmark, Czech Republic, and Norway throughout the school year as we learn about those cultures. Because of this, lessons have more meaning and come alive.